Shanna Carter is the Information and Communications Manager in South Sudan. Last week in South Sudan, the Samaritan’s Purse cleft lip program kicked off its sixth year of conducting surgeries for people with cleft lips. As a result, 73 new smiles adorned the faces of children, women, and men who have been ridiculed, made fun of, and rejected throughout their lives. 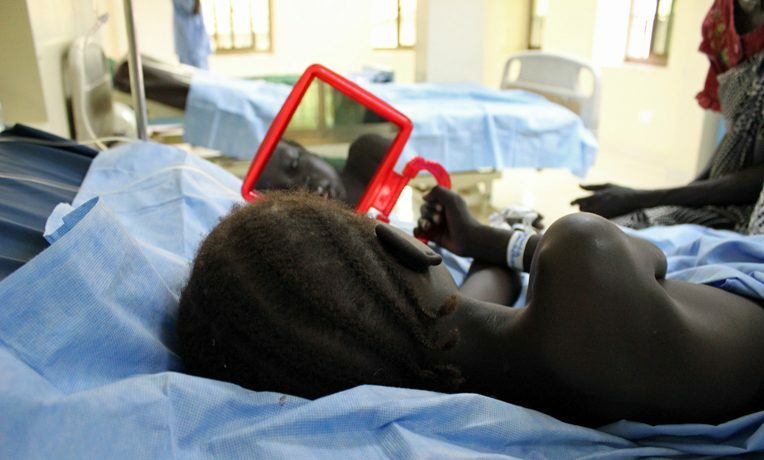 Since 2011, Samaritan’s Purse has performed a total of 416 cleft lip surgeries in South Sudan. Doctors and medical staff from around the world volunteered their time to travel to South Sudan—the world’s newest country—to conduct the life-changing surgeries. Samaritan’s Purse planes buzzed across the sky transporting patients and caretakers from various locations throughout the country to the nation’s capital where the hospital is located. Samaritan’s Purse staff were busy making sure all supplies and equipment were on-hand. And I’m certain God was smiling from above as He saw His love being demonstrated in such a tangible way. I’ve had the incredible opportunity of seeing the cleft lip program take place in South Sudan for four years now, and I can honestly say that it’s one of my favorite programs. Results are seen almost immediately following the surgeries and the life-changing impact is apparent by the smile on the faces of the patients and their families when they see the work of the surgeons for the very first time. Over the years, I’ve had the honor of hearing stories that tell of the heartache the patients and their families have experienced all because of an imperfect lip. People— young and old—have waited and hoped for the day their lips could be transformed. But it’s not the stories themselves that make this program so special to me; it’s the sights that I see throughout the week that instantly bring tears to my eyes and joy to my heart. It’s seeing a sister sit anxiously with her brother while he awaits the surgery that will give him a new lip and hopefully new opportunities. It’s witnessing a son sitting next to his 50-year-old mom as he waits for her to wake from the procedure so that she can get a glimpse of her reshaped lip. It’s the grandfather who traveled hours with his grandson to care for him before and after surgery, recognizing that this procedure will transform his grandson’s life when he returns to the village. And it’s the hardworking medical team as they take the time to pray with every single patient and their family before each surgery is conducted. “We aren’t just fixing lips, we’re also transforming hearts,” said Karen Daniels, the cleft lip and palate program manager. These sights are what make the cleft lip program special. They remind me of my Heavenly Father and how He loves us unconditionally despite our imperfections, how He cares for us in every circumstance, and how He rejoices with us when things are made right.